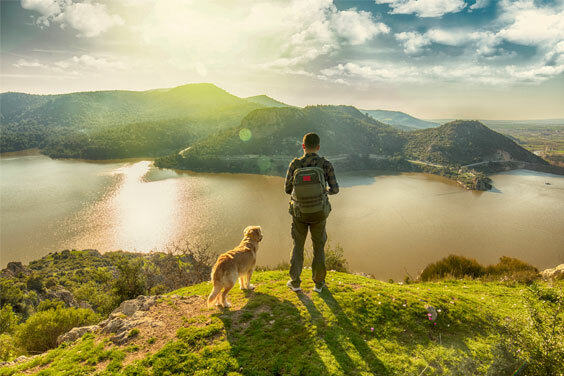 In this series of four articles, Anand Shrivastava, Chairman and Managing Director of Maharishi AyurVeda Products Ltd. based in India, shares his memories of the beginning days of Maharishi AyurVeda. To tell you honestly, I did not have any experience or any knowledge in those days, around 1984, when Maharishi Mahesh Yogi started looking into ayurveda. It so happened that when Maharishi asked who should take care of the production of the herbal products, two of our most respected vaidyas (ayurvedic physicians), Triguna-ji and Balaraj Maharishi, pointed their fingers at me. I was really surprised to see this, and I was not able to respond. Maharishi said, “Fine, just do it” and I started with his blessings. With the best of intentions, I asked many people who should become the chief of production. Someone suggested a very famous vaidya who had experience in a big ayurvedic pharmacy. I asked him whether he would like to join, and he was very happy because everybody wanted to participate in or to contribute to Maharishi-ji’s efforts. Everyone was very appreciative — and still is — of Maharishi-ji’s efforts in the area of meditation, yoga and, of course, ayurveda. So, this vaidya, who was working in a very good ayurveda company, joined us and we started working in the area of production. 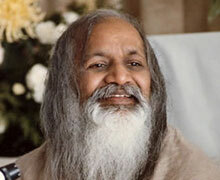 Maharishi-ji was very happy that we had come up with our first product in 4 or 5 days. Maharishi gave the bowl to Triguna-ji, who took a little bit from a spoon. After tasting it, Triguna-ji asked us whether we used only the best quality ingredients or not. Then Triguna-ji asked about one ingredient, called vanshlochan. It’s a secretion that gets deposited inside the hollow stem of a very special kind of bamboo. According to the ayurvedic texts, it is very effective for cough and cold. So, he asked us where we bought it, and this other vaidya replied that it was bought from a famous place and that it was the best quality. The vaidya said something like eight rupees a kilo. Triguna-ji said, “No, this is not the real vanshlochan, this is just a chemical imitation of that,” but the other vaidya continued to argue with Triguna-ji. And the way Maharishi-ji was scolding this person, I thought that this was the end, that Maharishi AyurVeda was not going to go any further than this first product (which had come out to be a big failure). Then somehow Triguna-ji intervened, and we started discussing something else. In the middle of the night, he made all of us who were responsible for buying the imitation ingredient dig a big hole in the ground and bury the whole thing. And we did it ourselves, as there were no workers available at that time of night. We buried the entire batch, and then we reported back to Maharishi-ji that we did it, and we told him that we were not going to compromise on the quality of our ingredients or the process ever again. That was my first lesson in quality control. And whenever there is any kind of offer — you know, you always get a practical person saying that this is a lower rate or that we could get some kind of cheaper ingredient — whenever I get such offers, this incident crops up in my mind and then any kind of compromising situation just vanishes. That first lesson is always in my mind whenever we are making any Maharishi AyurVeda product. After the very first lesson of quality, I started looking deeply into the process of creating ayurvedic products. It seemed to me that we needed two things: to systematize the steps and to ensure that every step followed the authentic ayurvedic tradition, as Maharishi had instructed us. 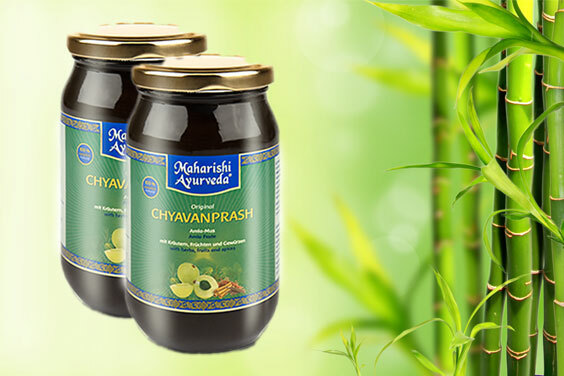 In those early days in the mid-1980s, when we were first starting operations of Maharishi AyurVeda Products International, I was unable to identify any of the medicinal herbs. For me, a leaf was a leaf, and in order to identify a particular herb I had to ask our expert in plant identification. He had no answer. I knew we had to work out a reliable system that did not rely on just one person’s expertise. For that I invited several vaidyas, experts in dravyaguna (medicinal plants), and also scientists from the area of botany, and they came up with objective methods of identification that could be used 365 days a year. So, we came up with a system for identifying the herb’s active ingredient. We standardized the quantity of active ingredient required in order for each herb to pass inspection and be used in our products. We also came up with high standards for the quality of the herbs. If an herb was picked before or after its peak, or was damaged or inferior in any way, it was discarded. Only the highest quality herbs passed inspection. In addition to the plant identification and quality of herbs, we followed the instructions from the ayurvedic texts to avoid herbs grown near population centers. We trained people to collect wild herbs from the mountains and other uninhabited regions. Later, it became widely known that the herbs growing near population centers absorbed high levels of contaminants such as pesticides and heavy metals from air pollution. Of course, in the days of antiquity when the ayurvedic texts were cognized, the modern pollutants weren’t there, yet there could be micro-organisms and bacterial contaminants. So, we found that the guidelines for safety of the herbs, safeguarded by rishis in the past, also worked for modern times. We started testing products for pesticides and for heavy metals to make sure that none of these contaminants entered our products. Our products are tested many times during the process, and today (2019) we are the only ayurvedic processing facility to be certified by the World Health Organization GMP and the GLP. Thus, step by step, we developed procedures to ensure that our products are clean, free of contamination, and full of vital energy. Another important area was to make sure the herbal formulas included the correct proportions of each herb as described in the ayurvedic texts. I remember when our factory first opened, we were manufacturing an herbal formula, and one day we discovered that we had run out of two of the ingredients. I told the vaidya that we would make the batch tomorrow, after we obtained the missing ingredients. When I came the next day to the factory, I arrived a little late, and I found out that the product was ready. I was very happy with the manufacturing vaidya, with the chemist, and with the efficiency of our people, and I started praising them for obtaining the missing herbs and getting the batch made. “Don’t worry, nothing will happen,” he said. Then finally our people understood. It took several years of continuous hammering on these points to teach our employees that we must at all times adhere to the ayurvedic texts. It is only by following the authentic formulas and procedures that our products have attained such a high level of quality. We have also used the latest technologies in manufacturing to ensure that the highest level of cleanliness and purity as described in the ayurvedic scriptures is maintained. This is the secret ingredient of Maharishi AyurVeda products — every formula embodies the ayurvedic tradition in its completeness, as inspired by Maharishi. 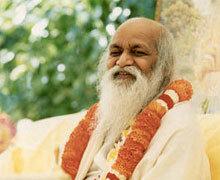 During the early days, before 1984, we were thinking about diversifying Maharishi’s organization to reach more people. 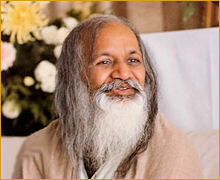 Many great minds — vaidyas, medical doctors and scientists — were sitting with Maharishi-ji and discussing what to do. Someone suggested that we explore ayurveda, the traditional health care system of India, which was once a vast field of knowledge but in modern times had somehow been lost or forgotten or neglected. Somebody brought up various medicines for this problem or that problem; somebody else mentioned chronic disease, that there are no solutions to these problems, so let us focus on this area or that area of chronic disease. Maharishi said that no, we don’t want to limit ourselves to the level of a pharmaceutical company, or whatever we might be creating. He said that was not our theme. I was present in the meeting. And I saw that everybody’s mouth remained open. No one was able to say anything. Because it was beyond anybody’s capacity to think at that level — that creating a disease-free society should be the target of our activities in the area of ayurveda. And now, after working in this area for the past 25 years, I’m convinced that Maharishi-ji’s vision was absolutely correct. It is possible to create a disease-free society — a society free from disease or an individual free of disease. It is only by knowing more and more about Maharishi AyurVeda that one can feel that yes, it is possible. It is possible because the knowledge of Maharishi AyurVeda depends on some very simple fundamentals. For example, one fundamental is to create balance. If we create balance, disease will not be there. The very definition of health, as given in ayurveda, is very comprehensive. Samadoshah samagnish ca samadhatu malakriyah prasannatmendriyamanah svastha ity abhidhiyate. [Sushruta Sutrasthanam 15.41]. 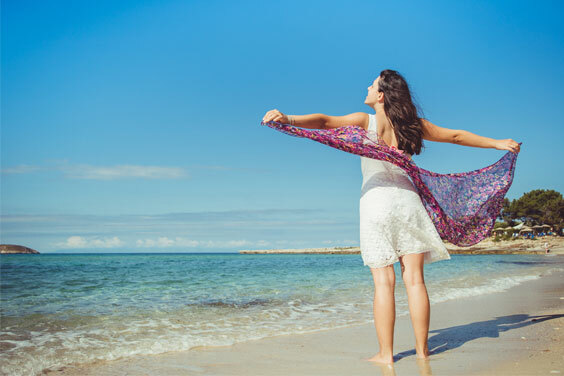 Sama dosha means balanced in dosha (one of three mind-body operators that govern the functions of every part of the body). Sama agni means balanced metabolism of the food you eat. Mala kriya means that when food is metabolized, the waste is eliminated properly. But the definition of health doesn’t stop here. It goes on to speak of blissful self, senses and mind. Bliss is the basic level of the senses, mind and self. When all these things are present, this is swasthya, this is health, according to ayurveda. For this level of health you don’t have to do much. You simply have to take care of some fundamentals: that is, the doshas. Ayurveda has defined in a very simple manner how to identify which doshas are out of balance, how to bring balance back into the system by some simple adjustments in diet, in the food you eat. 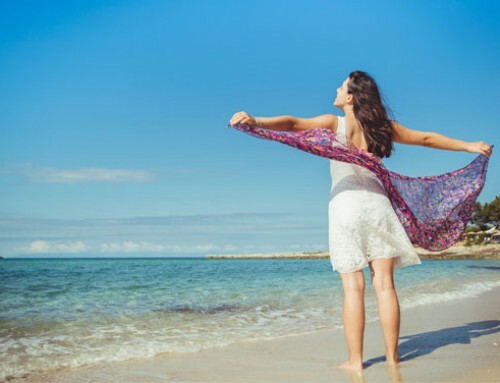 If there is a deeper imbalance or stress in the dhatus, organs or elimination system, these imbalances can be easily identified, and different rasayanas, herbs, or medicines can be prescribed to bring the system back into balance. And with regard to bliss, of course, Maharishi has given us the most scientifically proven technique for developing bliss consciousness, the Transcendental Meditation technique. 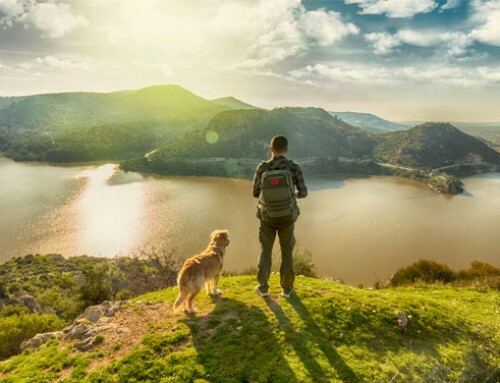 This is what Maharishi envisioned 50 years ago, and this is what he gave us in the motto, “Creating a Disease-free Society.” And the more you go deeply into it, the more you can see that yes, Maharishi was right. It is possible, it is very much within our scope. We can do it. It’s not as big a thing as we thought in those beginning days when we tried to convince Maharishi to bring the level of his motto down. Fortunately, Maharishi has always stuck to his point and has made us try to reach that point, that high level of achievement. Of all the luminaries Maharishi gathered around him in the early 1980s to delve deep into the ayurvedic texts, there are three that he honored as rishis in the field of ayurveda: Dr. B.D. Triguna, Dr. Balaraj Maharishi, and Dr. Dwivedi. These three master vaidyas (ayurvedic experts) are revered in India as custodians of this precious knowledge of life, and they made many invaluable contributions that ensured the authenticity and effectiveness of our products. The late Dr. B.D. 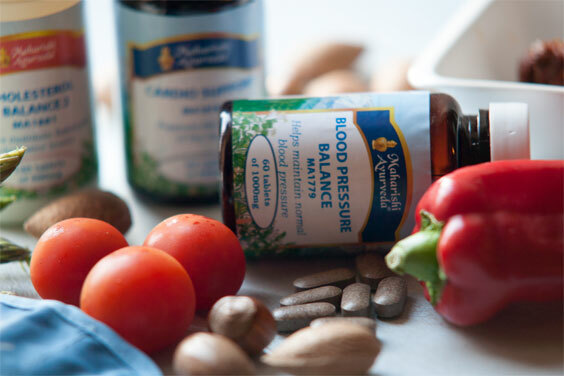 Triguna was considered the foremost authority in the area of pulse diagnosis and in the uses of minerals and herbs for bringing imbalance back into balance. Just by feeling the pulse, he could tell the past health history of a person and what could happen to that person’s health in the future. And based on that pulse diagnosis, he used to recommend taking certain herbs or products and make certain changes in diet. In this way he helped people bring balance into their life. Dr. Triguna was a master of the ayurvedic texts. I have been very fortunate to read his books of ayurvedic scriptures, and have seen that they are marked with lines, colors, and other notes beside passages that he wanted to remember. For any health problem, he would take out a text and know the verse that contained the solution. He would go deeply into the texts, explaining how this problem comes and what are the ways this problem can be handled. With his tremendous knowledge, he was a great personality in this area, and MAPI has been very fortunate to receive his blessings. A famous doctor in India, Dr. Triguna served as the president of the All-India Ayurvedic Congress and as the personal vaidya to the prime president of India. In 2003 Dr. Triguna received the second highest civilian honor from the government of India, the Padma Vibhushan Award. Dr. Triguna treated hundreds of poor people who flocked to his clinic every day. Many times, I saw Triguna treat people whose doctors had told them their disease was incurable. He gave them herbal powders, liquid decoctions or herbal tea, and this person would get better. From reading the reports by medical doctors, we saw that they were surprised. 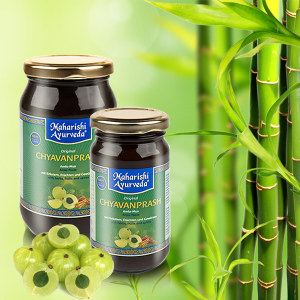 Many of these authentic, traditional formulas are now offered by Maharishi AyurVeda Products International. This is just a small part of the invaluable contribution made to MAPI by Dr. B.D. Triguna, one of the greatest ayurvedic rishis of our times. I have been to many of his free camps where several thousand people would line up to receive herbal medicines from him. After diagnosing them, Balaraj Maharishi would simply give them some small pouch of herbal powders. He’d tell them to mix them in certain proportions, and to take them with honey or milk or sugar. I personally know many people who were greatly benefited by these herbal medicines, including people with so-called incurable diseases. Dr. Balaraj Maharishi gave MAPI the formulas for various ladies’ disorders and for diabetes and high blood sugar. Together these two great personalities, Dr. Balaraj Maharishi and Dr. B.D. Triguna, brought to Maharishi’s attention the importance of rasayana (ayurvedic elixirs that are renowned in the ayurvedic texts for their healing and rejuvenating effects). Under his direction, they helped revive the ancient formula for the greatest rasayana of all, Maharishi Amrit Kalash. Dr. Balaraj Maharishi had brought the herbal formula in a silver bowl that was like a kalash, a vessel. He said, “Maharishi, this is like Amrit, the nectar which brings immortality, and I’m bringing it to you in a kalash.” And that is how the name “Amrit Kalash” was started. Dr. Triguna was present and he said, “Maharishi, I would also like to add something to Amrit Kalash.” Dr. Triguna, with his experience in delving deep into the ayurvedic scriptures, made certain changes in the paste, which became Amrit Kalash Nectar. Balaraj Maharishi gave the formula for the tablets, called Amrit Kalash Ambrosia. Both formulas are ancient, legendary rasayanas described in the ayurvedic scriptures, which had been lost in recent centuries. This alone was an extraordinary contribution made by these two giants in the field of ayurveda. The late Dr. Dwivedi, another luminary around Maharishi, was the greatest proponent of rasa medicine. 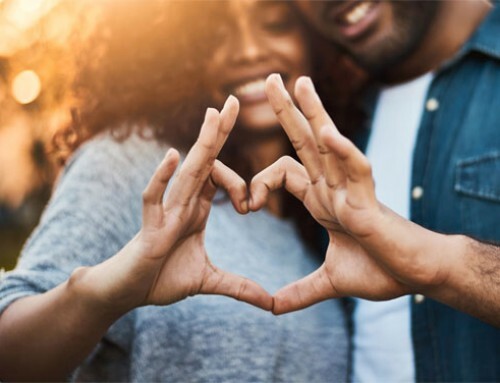 Rasa medicines are formulas made with minerals and precious metals. He was also the knower of rasayanas. Dr. Dwivedi also had the knowledge of making medicine from poisonous herbs. Some poisonous herbs have tremendous medical capabilities. But the poison has to be diffused or detoxified. This was his specialty. 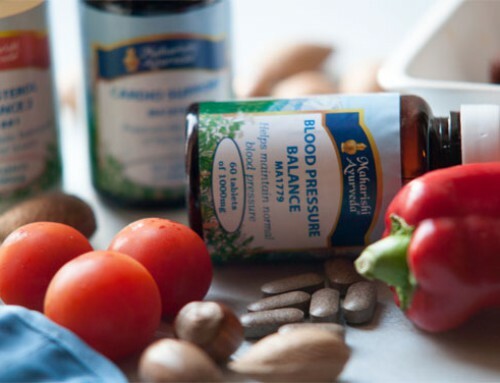 For some of the more serious health conditions, for example, normal herbs don’t work. Or maybe a disease takes longer to cure, and often people with serious health problems don’t have that much time. Rasa medicines are quite effective. Dr. Dwivedi gave us that knowledge. In addition, Dr. Dwivedi gave us the knowledge of asawa and arishthas. These are the liquids that contain extractions of the total herb. The liquid gets assimilated into the body much faster than dried herbs. Asawas and arishtas contain a very small quantity of self-fermented alcohol, which extracts the active ingredients from the herbs. So, these liquids contain about 7% alcohol and 93% water. 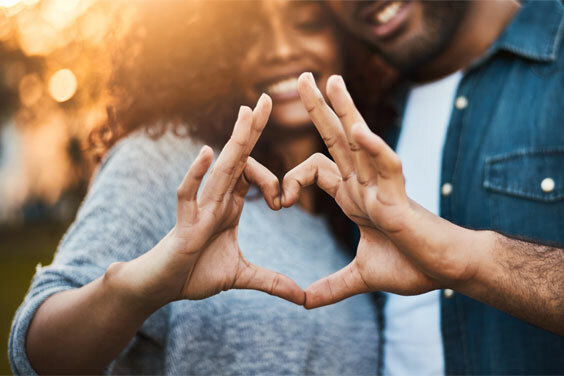 This liquid is then able to dissolve all the active ingredients from the herb and makes a powerful solution that reaches the cells of the body more quickly. These three rishis in the field of ayurveda formed the Maharishi AyurVeda Council of Physicians for MAPI. Their role is to ensure the authenticity and effectiveness of our products. 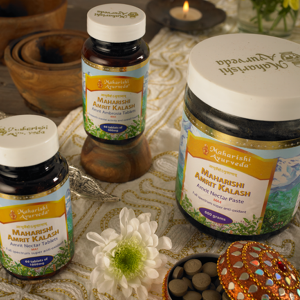 Under the guidance of Maharishi, they revived the authentic ayurvedic knowledge for our modern times.